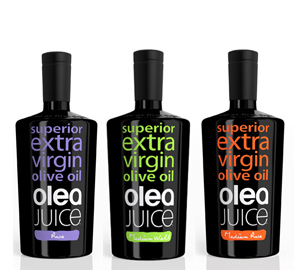 Olea Juice™ is an award-winning, 100% extra virgin olive oil of superior quality in three different intensities: medium, delicate and robust. These particular extra virgin olive oils come from chosen small-scale producers of Peloponnese. In combination with our exceptional experience in blending we introduce you the best results of low acidity EVOOs. Delicate has a fruity aroma of freshly-pressed olives and slightly peppery taste. Medium has a rich aromatic fruity character and medium pungency. Robust has flavor notes of freshly cut grass, green leaves and hints of herbs, with a strong afternote. They come in a gift box, where the inner part contains Styrofoam pockets that not only protect the bottle/s, but also conserve the olive oil at the right temperature.